I think this year has to be one of my favorite Halloweens ever. 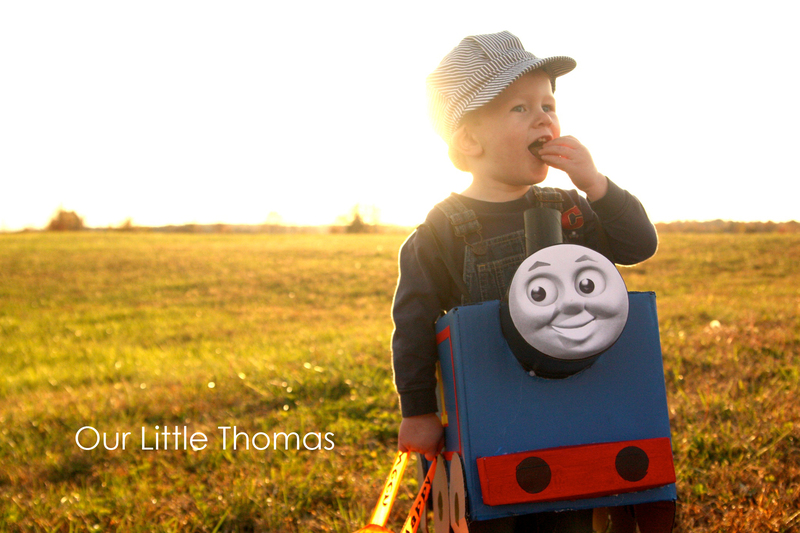 Watching Ean walk around in his little Thomas costume choo chooing and saying ‘Trick or Treat’ was priceless. I don’t know if it all made sense to him…walking around our street, getting candy from our neighbors…but he loved it. We finished the evening by handing out candy at our house with my amazing cousin Sarah. I haven’t laughed that hard in a while. Matt threw some candy at some high school boys (maybe it was a toss), we saw Willy Nelson…err maybe not….oh the list could go on and on.